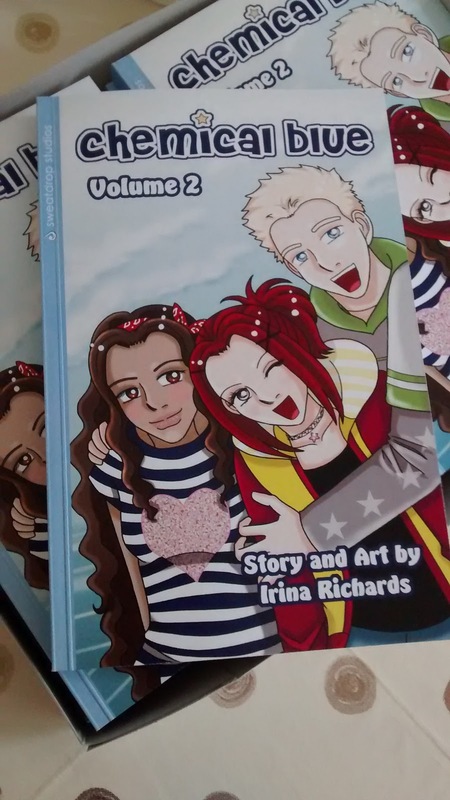 Irina Richards - Manga illustrator/Comic artist/Educator: New book coming up! Chemical Blue Volume 2! New book coming up! Chemical Blue Volume 2! I have some fantastic news to share - the second volume of Chemical Blue has now been completed and printed! I'm sure there'll be more information from Sweatdrop Studios about it soon - but in the meantime, if you are going to London Comic-Con this October, it'll be available from Sweatdrop stall, and later on you can buy it online in the Sweatdrop shop and on Amazon!